How will Israel keep its strategic edge over an increasingly dangerous Iran? Israel has been preparing for this day by creating a special and secretive IDF unit called Talpiot. Instead of being trained to fight, the few soldiers each year selected for Talpiot are taught how to think. In order to join this unit they have to commit to being in the army for ten years, rather than the three years a normal soldier serves. Talpiots are taught advanced level physics, math and computer science as they train with soldiers from every other branch of the IDF. The result: young men and women become research and development machines. Talpiots have developed battle ready weapons that only Israel’s top military officers and political leaders know about. They have also dramatically improved much of the weapons already in Israel’s arsenal. Talpiot has been tasked with keeping Israel a generation ahead of a rapidly strengthening and technologically capable Iran. Talpiots contribute to all of the areas that will be most important to the IDF as Iran becomes even more powerful including missile technology, anti-missile defense, cyber-warfare, intelligence, satellite technology and high powered imaging. Talpiot soldiers have also been a major factor in the never ending fight against Israel’s other enemies and many have left the R&D lab to fly fighter planes, serve in the field as commanders of elite army ground units and at sea commanding Israel’s fleet of naval ships. After leaving the army, Talpiots have become a major force in the Israeli economy, developing some of Israel’s most famous and powerful companies. 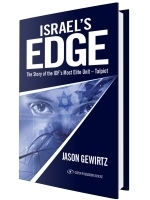 Israel’s Edge contains dozens of interviews with Talpiot graduates and some of the early founders of the program. It explains Talpiot's highly successful recruiting methods and discloses many of the secrets of the program's success. The book also profiles some of the most successful businesses founded by Talpiot graduates including CheckPoint, Compugen, Anobit, recently bought by Apple, and XIV, recently bought by IBM. No other military unit has had more of an impact on the State of Israel and no other unit will have more of an impact in the years ahead. The soldiers of Talpiot are truly unsung heroes.